“UNIT.” from “LIFE” Series. 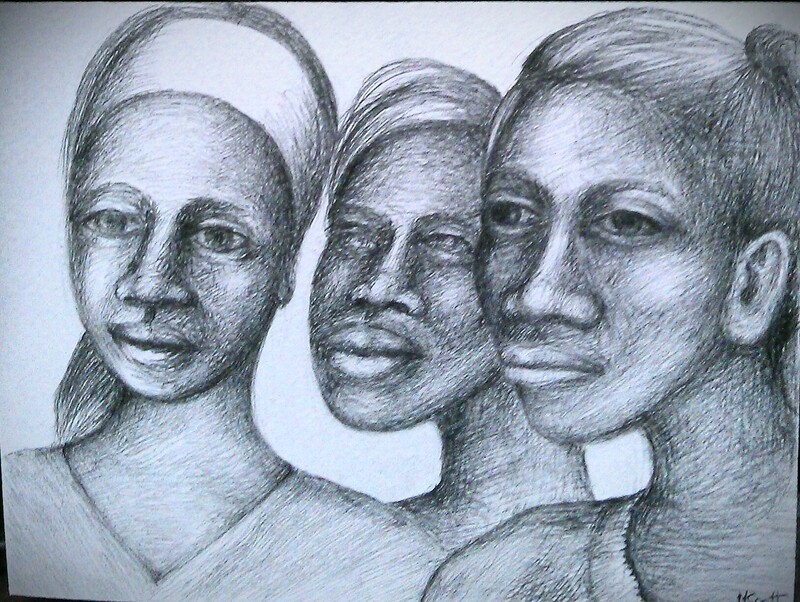 Pencil by Madge Scott. 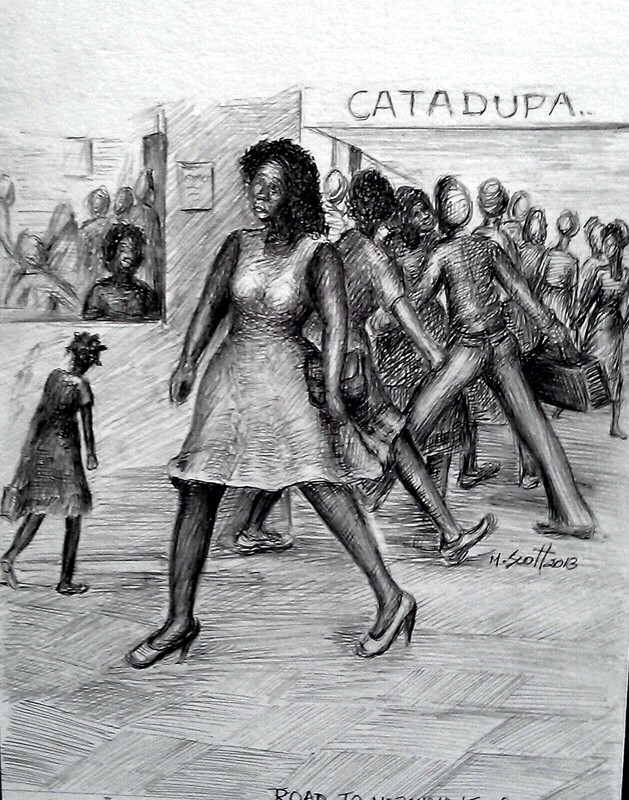 Nothing beats when folks come together to create a unit of oneness..
“CATADUPA” by Madge Scott. Pencil. I was born in this village in Jamaica.